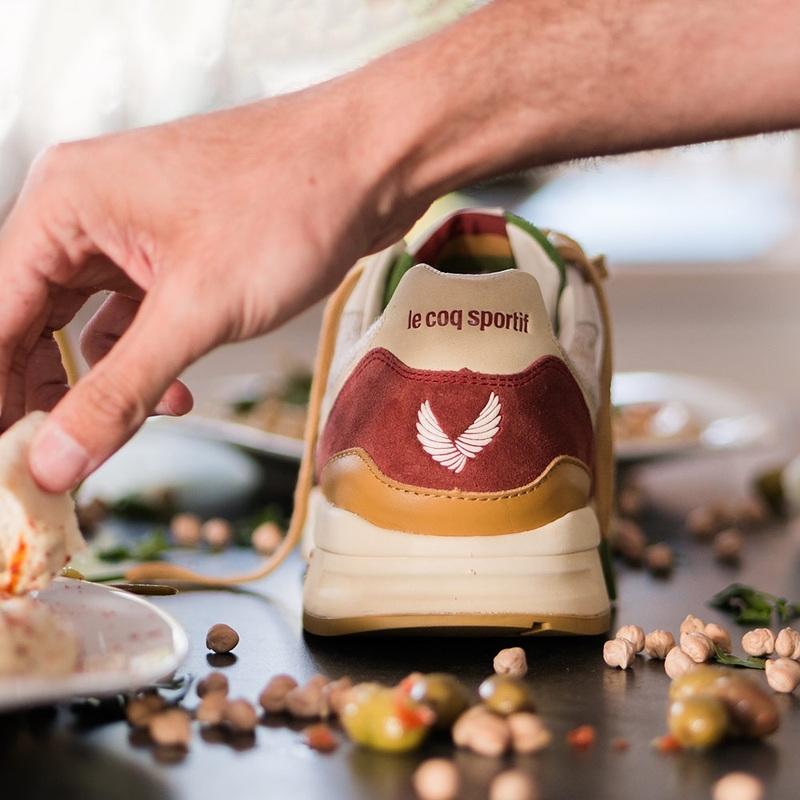 Le coq sportif is proud to present a shoe created in an exclusive collaboration with Sneakerbox TLV to mark their 7th anniversary. 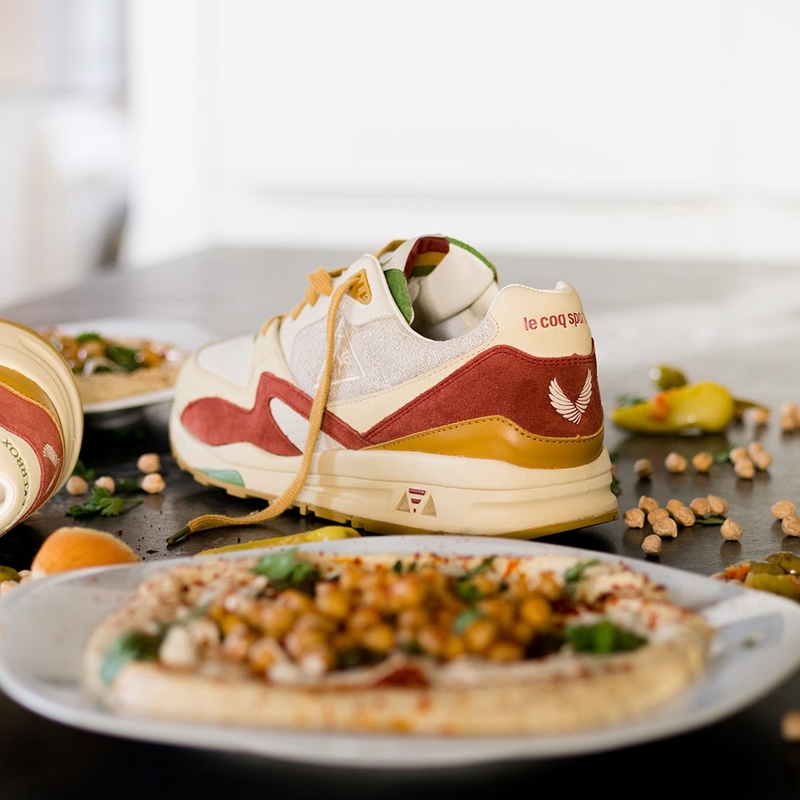 This first pair of shoes designed by the brand in collaboration with an Israeli sneaker store are a wonderful evocation of the city of Tel Aviv. 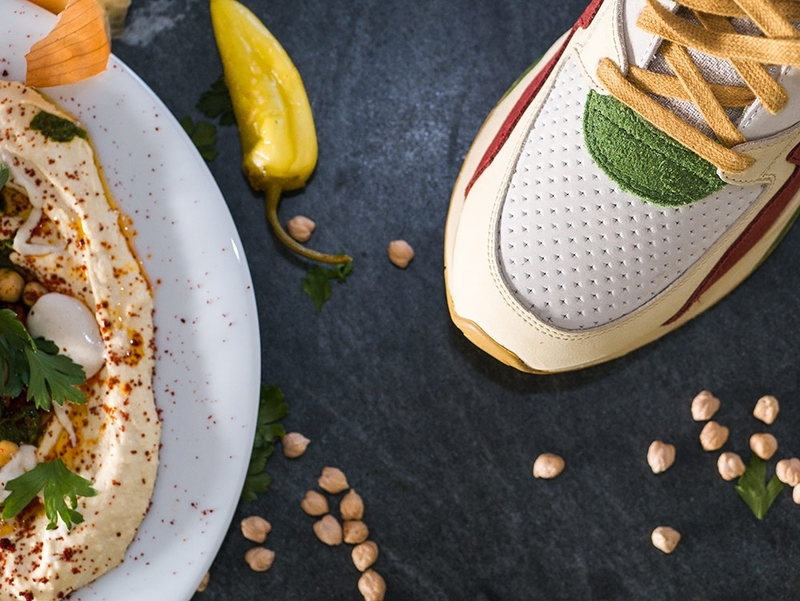 In order to give these shoes a truly Israeli feel and international appeal, the designer Sagie Maya took inspiration from one of his favourite dishes: hummus. 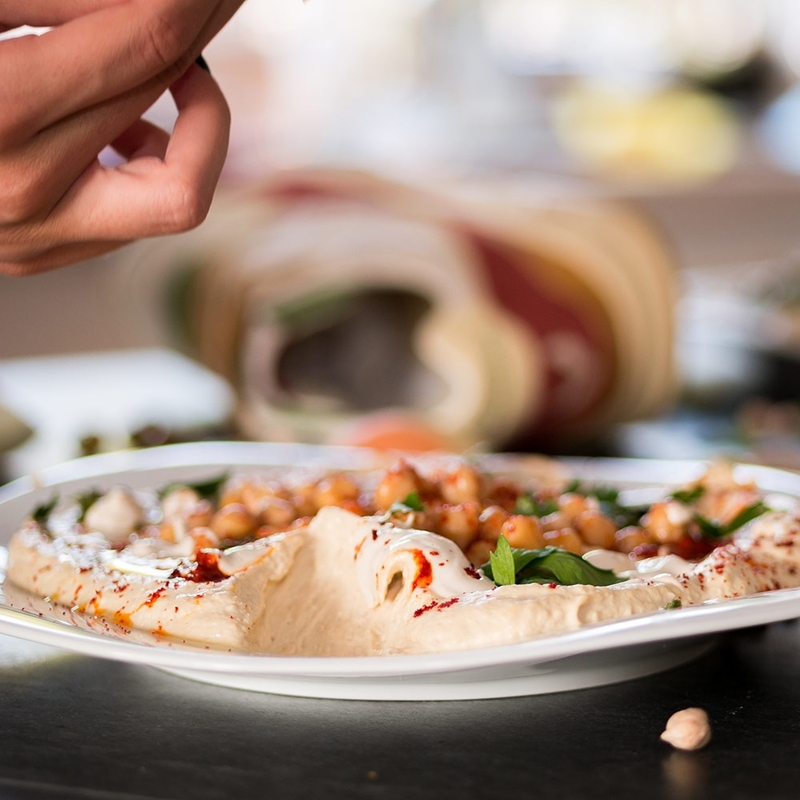 A great classic of Israeli gastronomy that comes from Tel Aviv, hummus is an integral part of the landscape, as much as beaches and nice cold beer, It was over there that Sagie Maya drew inspiration for the LCS R800 Hummus. 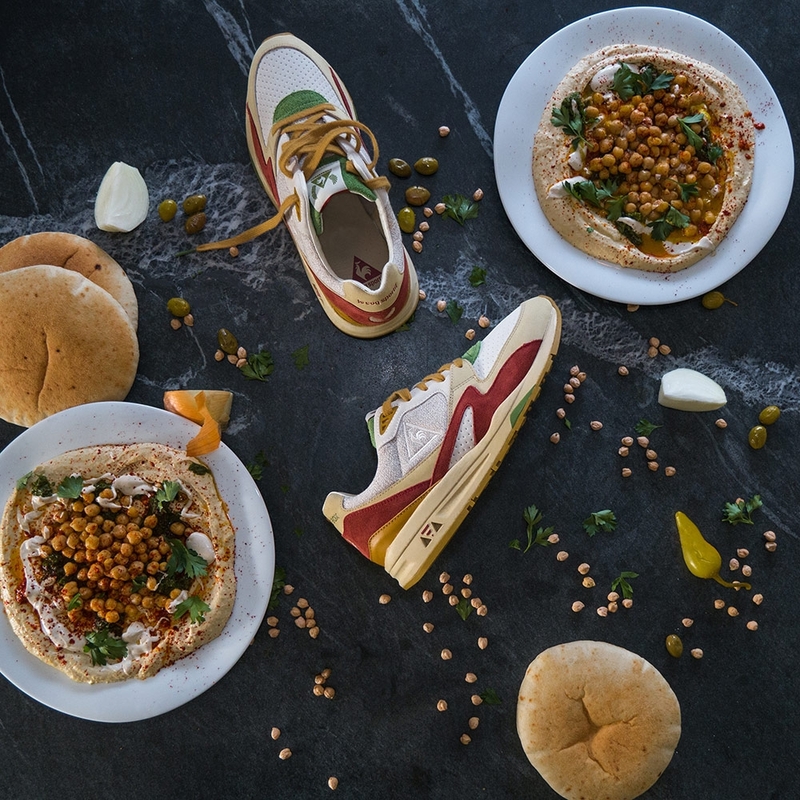 The shoe is made from premium materials in different colours and textures, in tones that perfectly match the shades of a plate of hummus. The elegant green suedette evokes the colour of parsley, and the burgundy that of paprika, while the nubuck and beige linen are reminiscent of hummus. 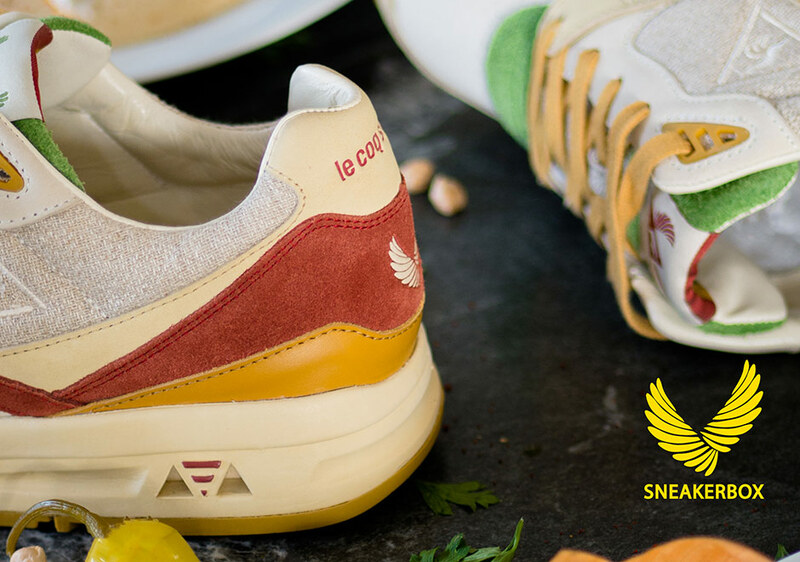 Three pairs of laces, one green, one ochre and one paprika, offer three colour combination options, while the insole replicates these 3 colours at the front of the foot. 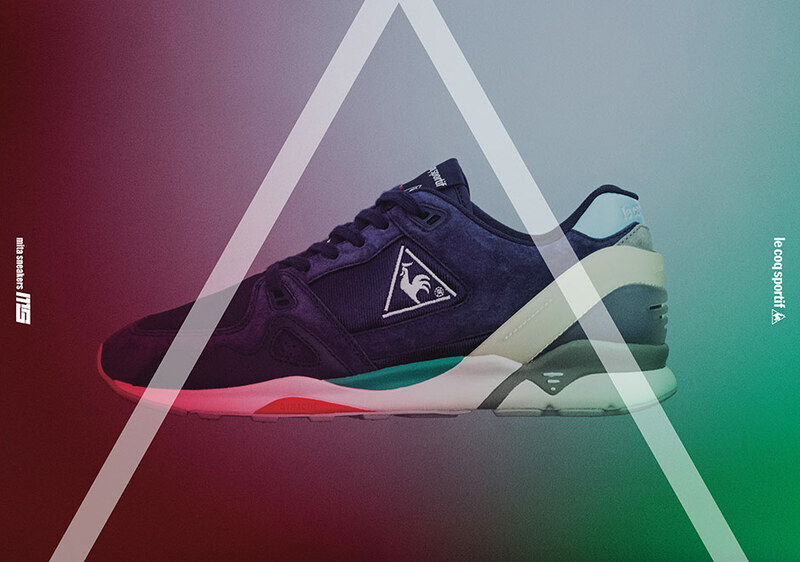 On the tongue, as well as on the box and dust bag, the two logos come together as one: the SneakerBox wings appear on the sides of the le coq sportif triangle. 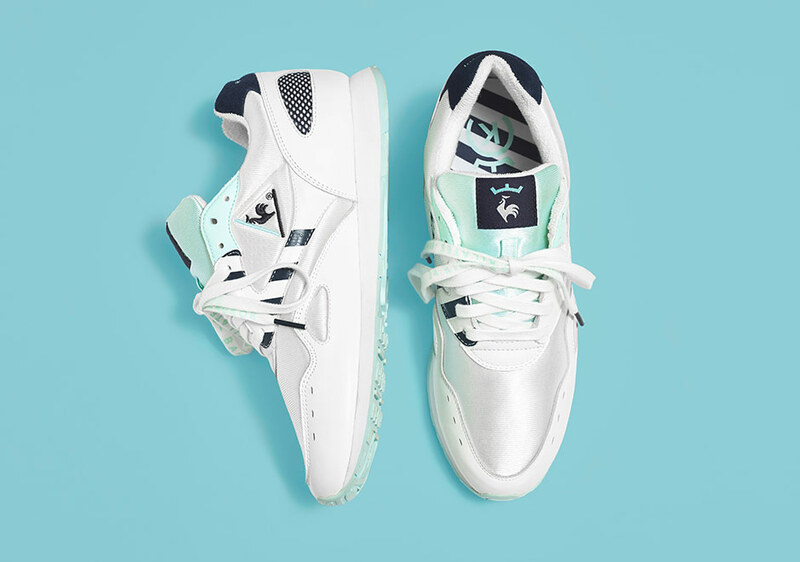 Releasing instore Saturday 17th Feb any remaining pairs will go online on Monday 19th Feb.